I have been especially technically challenged this week. I attempted to reblog this post from my memoir project, The King of Isabelle Avenue. I posted it and noticed that shortly afterward the reader just showed a very blurry photo of my Gravitar. So I deleted it and tried to reblog, and of course, you cannot do that. 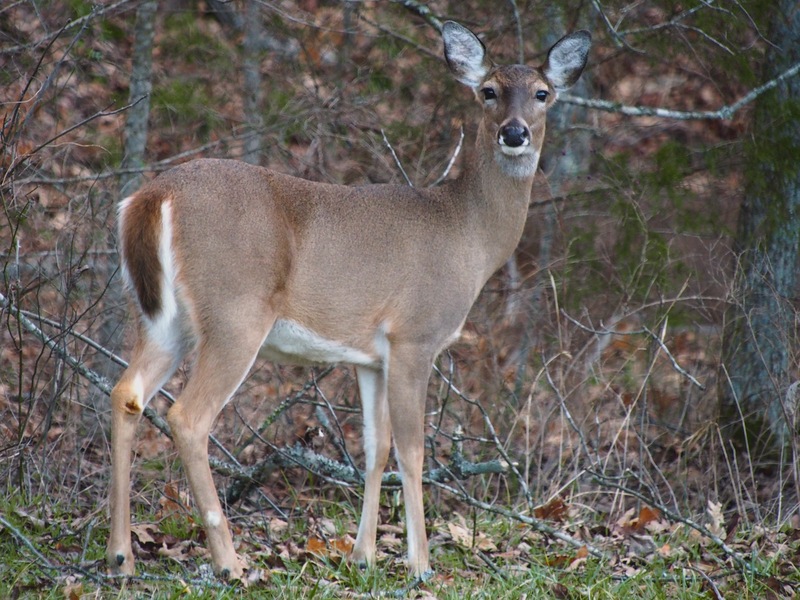 If you’ve seen enough deer or hate to click links, feel free to stop reading now and go back to whatever you were doing. I think I’m gonna grab a snack. 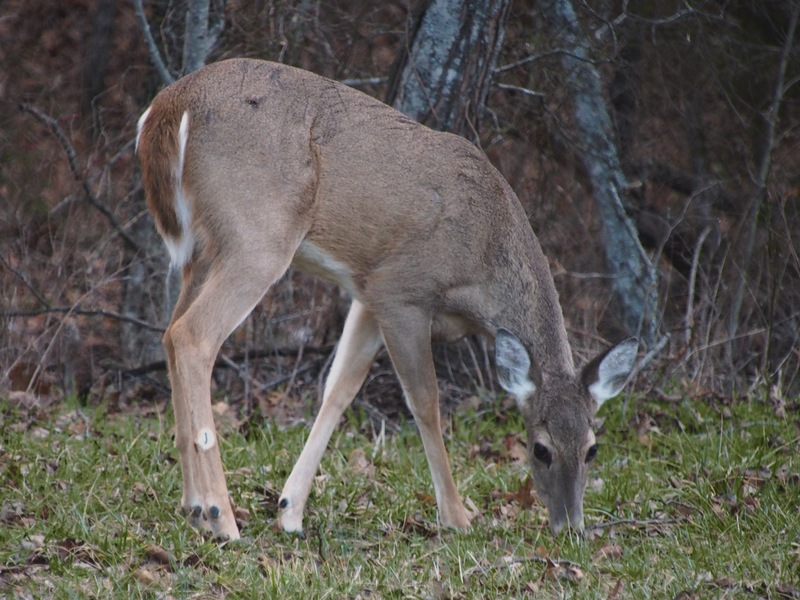 This entry was posted in Ozarks, Photography, Reminiscences, wildlife and tagged deer, Olympus, Olympus E-M5, Ozarks, photography, reblogging by artsifrtsy. Bookmark the permalink. Enjoyed the pictures. Deer are one of my favorite critters. I pleased that such a technically minded person as yourself also has frustrating moments with wordpress – as i do at times whenever I try to do something a bit different. Well, I do mess up the code now and then. It think this started when I tried to change the featured image on the reblog, everything went downhill from there. LOL Well I stuck it out with the deer and feel mighty proud of myself. Awesome photos as per usual. I’m proud of you too – did you have an awesome birthday? sure did! I’m going out tonight as well with my daughter and friends. I’ve booked myself a birthday party at a country/western bar! I clicked, I read, I looked. I am one damn good blogging buddy. 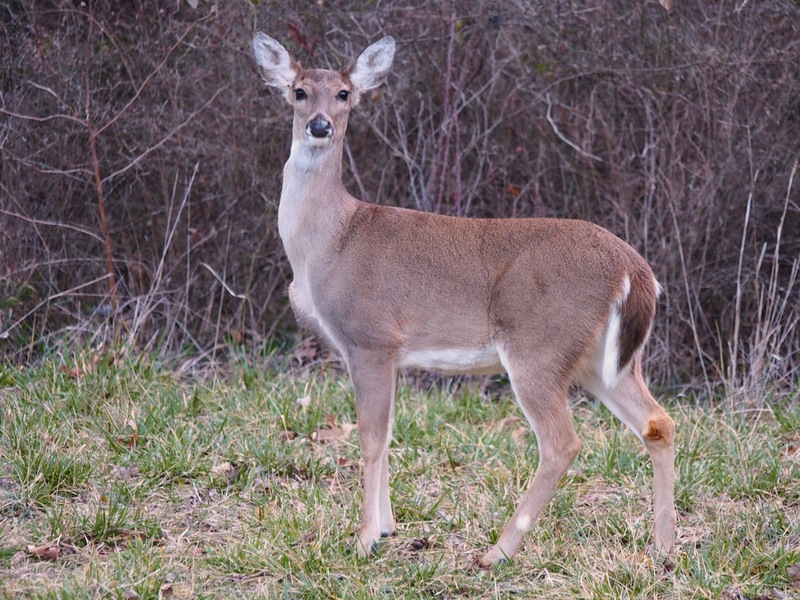 I love looking at deer, even though they are so plentiful here that they are a danger to everyone. There is a house I pass on my way home from work that has an old fashioned wagon in the front yard. There are often 4-6 deer on their lawn, standing in front of that wagon, looking like they are harnessed. Cracks me up every time. Elyse – you are the best. These were in a yard on a residential street. I have a small herd of about 10 that stay in the woods beyond my workshop. I never get shots of them because my dogs go crazy if they are nearby. I have spied one coming to the dogs water dish for a drink. They can be hazardous, but the are such sweet creatures. LOL – sadly I hit one last year on the highway. My Jeep is a beast so I was fine. They can come out of nowhere. Technology issues can really bring on a big appetite! Those deer are gorgeous! I hear you on the technologically challenged bit. I’ve been trying to figure out how to get all my iTunes songs off one aging computer onto another and not having any luck, plus I can’t burn any cds off of it. Argh! ITunes is pretty simple. You can copy the whole library onto an external hard drive and launch it on your new machine from that drive. I prefer keeping it on an external because space is not an issue. I’m going to have to buy one then. You may have to give me pointers. I was thinking…any chance that I can attach a telephone thingy to my laptop and hook it up to the other computer? Wouldn’t that maybe work? Macs have FireWire that let’s you transfer from one machine to another. Unless you have them on a network I don’t think you can. Externals have really come down in price. The other option is to spring for iTunes Match and download them all from the cloud to your new computer. I think that costs about $25. Thanks for the info!! Darn it, I don’t have a Mac. And my old comp isn’t even hooked to Internet. Looks like your external device option is going to be it for me. Isn’t it frustrating when technology doesn’t go the way we want it to. Thanks – it is frustrating sometimes, but usually I can figure things out. I seem to have crossed a couple of wires.